Priorities also include faculty and staff raises, funding for soil health initiative and new construction systemwide. 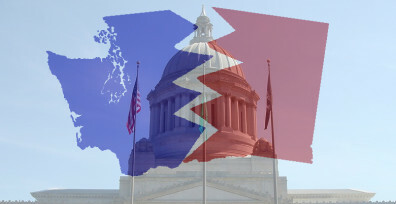 OLYMPIA, Wash. – “Governing Washington in Polarized Times” will be discussed by a panel in a free, public presentation at 11:45 a.m. Friday, Feb. 19, in the Cherberg ABC Meeting Room at the Washington State Capitol. The event is hosted by the Washington State University Foley Institute with Secretary of State Kim Wyman’s office. PULLMAN, Wash. – As members of the Washington State Legislature continue to work through the details of next biennium’s budget, there has been some media coverage around what happens if lawmakers are unable to complete their work by July 1. OLYMPIA, Wash. – Washington State University President Elson S. Floyd was interviewed on the Nov. 20 edition of TVW’s “Inside Olympia” program, along with state Sens. Barbara Bailey and Jeanne Kohl-Welles. SPOKANE, Wash. – A free, public, legislative candidate forum will be 3-4:30 p.m. Wednesday, Oct. 15, in the Nursing Building, Room 105, at Washington State University Spokane. Coffee and refreshments will be served 4:30-5 p.m.
PULLMAN, Wash. – Washington lawmakers are heading home after successfully completing their 2014 session on time. Their supplemental budget includes several critical provisions that will directly benefit students at Washington State University and throughout the state, and I thank them for that. SPOKANE, Wash. – WSU Spokane and the University of Washington School of Medicine will jointly ask legislators to allocate the money needed to fund 40 new permanent medical education seats in Spokane over a four-year period. Paul G. Ramsey, M.D., CEO of UW Medicine and Dean of the UW School of Medicine (UWSOM) and WSU Spokane Chancellor Lisa Brown announced that goal Wednesday at the Greater Spokane Incorporated annual meeting at the Spokane Convention Center. Ramsey says the larger classes would fulfill a very real need for physicians in Northwest communities. PULLMAN, Wash. – The state Legislature’s reinvestment in higher education this past session provides a multitude of opportunities for Washington State University in teaching, research and engagement, and we are grateful. One critical area that was not addressed in this biennial budget, however, was faculty and staff salaries. The Board of Regents heard reports on the recently passed state higher education budget and the university’s upcoming budget-reduction plan at a special meeting held Wednesday. The Washington Legislature has approved a biennial budget that includes a net reduction of $54.16 million, or 10.38 percent, in WSU’s state allocation for the biennium. It is built on the assumption of a 14 percent increase in resident undergraduate tuition in each of the two years. As a result, for the 2009-2010 academic year, resident undergraduate tuition would increase $870, from $6,218 to $7,088.